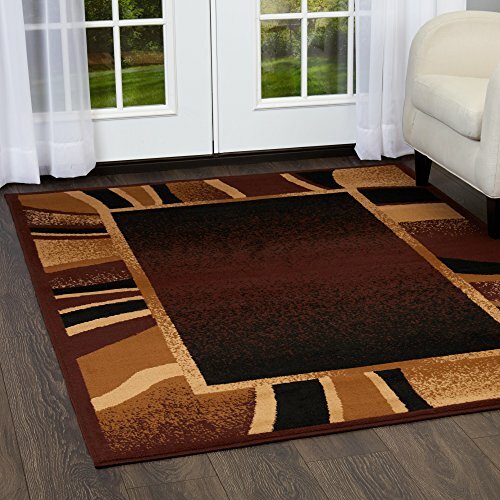 ADD ELEGANT STYLE: This mesmerizing area rug in beautiful shades of brown, is an elegant addition to your decor. ENLIVEN ANY ROOM: With its warm colors, this area rug brings cozy feelings of relaxation that will spice up the entire space. BEAUTY ON A BUDGET: This beautiful area rug will elevate your decor to the next level, while keeping up with your budget. CHOOSE YOUR SIZE: Our wonderful Premium collection comes in a variety of sizes for you to choose from: 9'2" X 12'5", 5'2" x 7'4", 3'7" x 5'2", 1'9" x 7'2" or 21" x 35". PLACE IT ANYWHERE IN YOUR HOME: Place this decorative floor covering in your living room, dining room, bedroom, office or any other space that needs a fashionable refresh without breaking the bank.